Alan is a creative professional with more than 35 years of editorial and communications experience. He has worked on and led editorial operations for a number of national and special-interest magazines, and has won awards for both his writing and editing. He was Editor of Equinox, Canada’s Magazine of Discovery, providing a national showcase for a great many of Canada’s finest writers and photojournalists. From his years at Equinox, Alan developed a keen interest in the idea of “people and place.” That led him to write his first book, Where Is Here: Canada’s Maps and the Stories They Tell, published in 2002 by Penguin Canada. The book explores how we shape our maps and how maps shape us. He took his editorial experience to Queen’s University in Kingston, Ontario, leading the marketing and publishing activities of a management development unit. He spearheaded a successful rebranding of the centre and relaunch of its website. Alan combined his editorial and marketing experience into a content marketing consultancy to help individuals, organizations, and associations sharpen their messages and package their ideas in the most effective and memorable ways. He has an undergraduate degree from Concordia University and has completed executive development programs in marketing, organizational design, and relationship management from Queen’s University. He is based in Ottawa, Ontario, Canada. Havi works with government and non-government organizations on social and fiscal policy, public affairs, and organizational development. She has performed policy research, development, and analysis; helped civil-society organizations build capacity in government relations; and designed and implemented community engagement initiatives. She has a special interest in applying technology to public policy development and public affairs. Over the years, Havi has also served as Director of Communications and Consultation for the Voluntary Sector Initiative Secretariat; Executive Director of the National Anti-Poverty Organization; and Special Advisor, Office of the Mayor, at the City of Ottawa. Havi has a Masters of Arts degree in Canadian history from University of Western Ontario and Masters in Public Administration from the Kennedy School of Government, Harvard University. Sparrow is a writer, editor and producer based in Vancouver, Canada. While she works on a range of topics, she finds herself drawn to stories related to sustainability, international development, education and culture. She has over a decade of experience writing and editing for digital and print, and produces video, multimedia and social content. 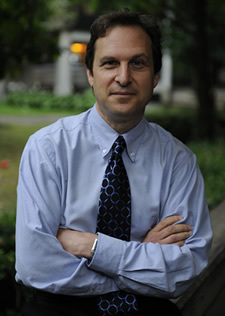 Sparrow has worked in Canada, the United Kingdom, the Netherlands and New Zealand. She has an undergraduate degree in environmental studies and a masters in journalism from Carleton University. Kenza is a writer and editor based in Toronto, Ontario. She writes for both print and digital magazines, and her work has appeared in several newspapers, travel books, and blogs. Kenza also writes and edits copy for a variety of marketing agencies and Fortune 500 companies. Currently, Kenza covers American politics, international news, business research, and social justice and sustainability issues. She has an undergraduate degree in psychology and professional writing.